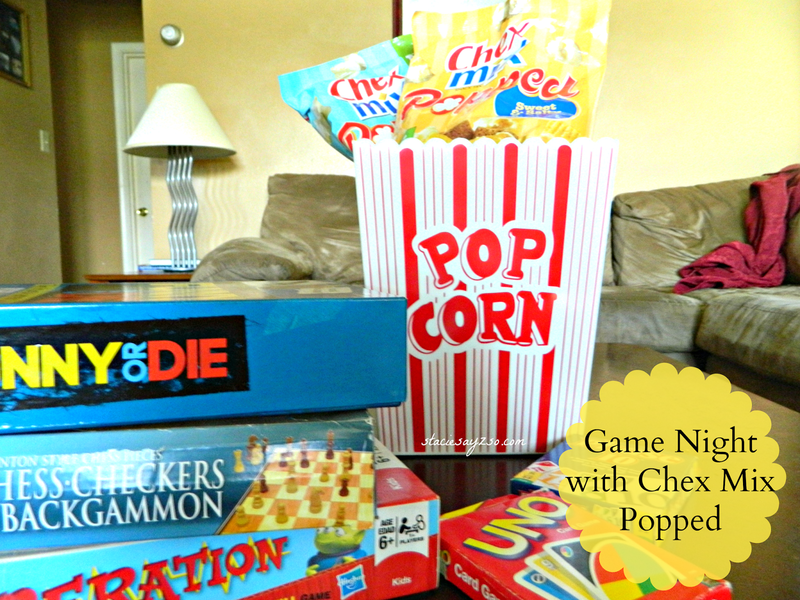 Game Night with Chex Mix Popped! The info and prize pack have been provided by General Mills through Platefull Coop. Opinions are always my own. Growing up, we played board games all the time. I can remember having so much fun with my little sisters playing games like Uno, Hotels, Monopoly, Guess Who, and the like. Now that I have my own family, my love for games continues. But I admit, we don't play them as much as we should. Folks are just too busy with all of the computers, smart phones, and tablets. 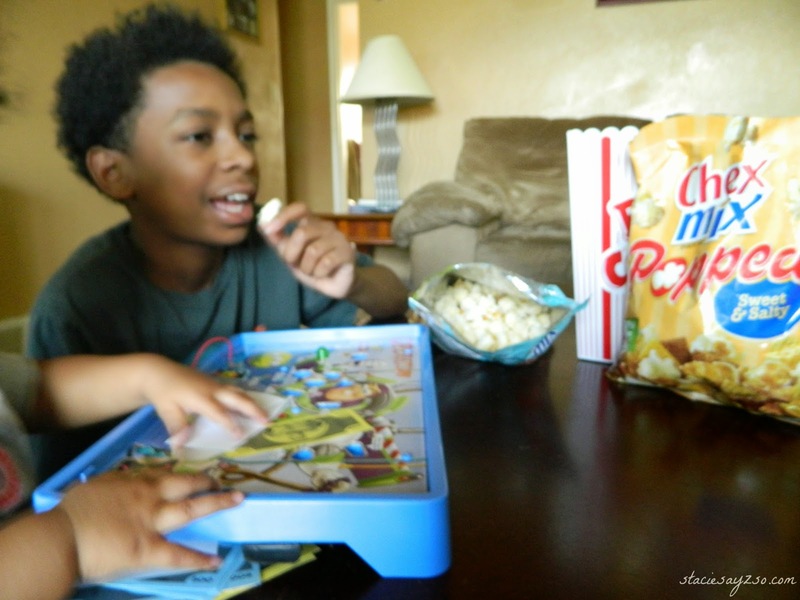 This Summer, I decided to play more games with my kids. Here are a few things that I plan on doing to make Game Night possible. Kids enjoying game night and Chex Mix Popped. Sorry so blurry. 1. First, establish a day for Game Night. Choose a day when everyone will be home and you don't have any other commitments. Plan it in your week like you would any other event. 2. Play games that are age appropriate. If your little ones don't understand how a game is played, it won't be fun for them. Also, as adults it's okay to meet them half way. If your kids love playing go fish, then by all means, participate and have fun! 3. 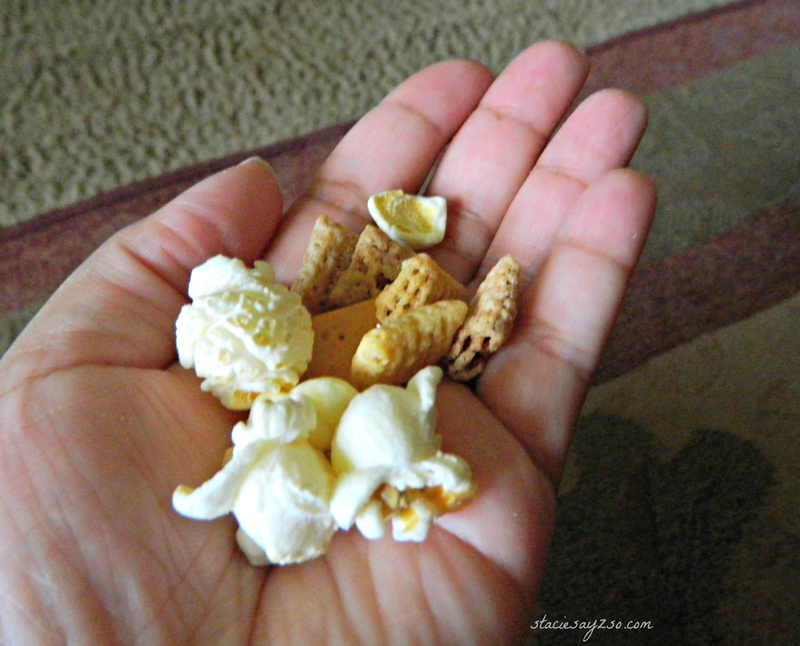 Have game night snacks like Chex Mix Popped. It's all the goodness of Chex Mix with popcorn added to it. Try flavors like White Cheddar and Sweet & Salty for a tasty spin on your regular popcorn. Yum! It's perfect for movie night too. Visit for more chex.com for info. Do you have Game Night at your house? We really don't do game nights often and when we do, it ends up being a card game of some sort. I can't wait to try CHex Mix Popped. I'm such a snacker and this sounds like something I would love. Thanks for sharing your review! I'm a snacker too, Shelly! I really enjoy playing card games with my kids. It brings out the competitor in me ;). I love popcorn and chex mix. Great that they put it together ! Can't wait to try it ! It really is a neat combination! Game night is pretty fun. Don't feel bad. I think it's just the times we live in. It was so much simpler when we were younger. Now that school is starting and we'll hae a more disciplined schedule maybe I can schedule a game night. It'll be great as a break to end the week!